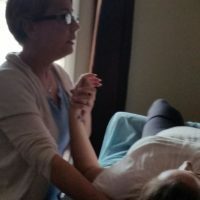 This class builds on the techniques learned in Basics of Cranial Sacral Massage l, putting them together with many new techniques to offer the client a full session using a Cranial Sacral protocol, or easily incorporating all or some into any massage. This is a full day of hands-on demo and practice. Students should bring 2 flat sheets, dress comfortably and bring or wear socks. Prerequisite is Basics of Cranial Sacral Massage Techniques l. This is not an Upledger CranioSacral class.